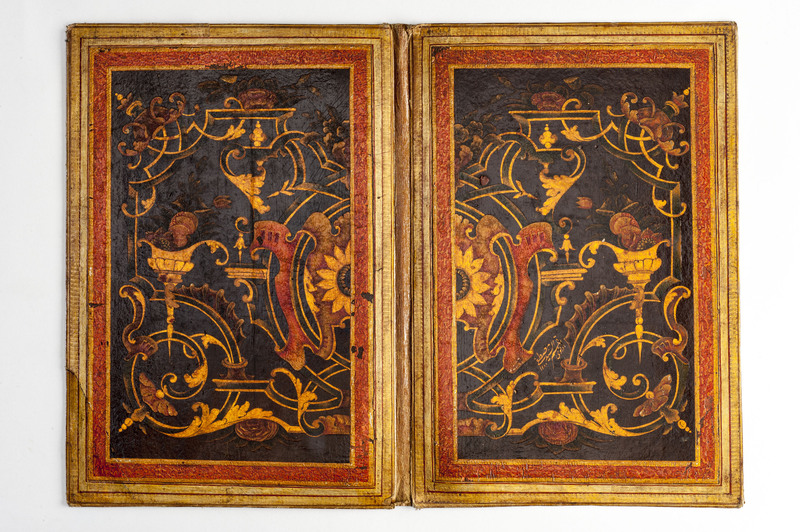 Ruganî Cilbent (Patent Leather Portfolio), Seyyid Mustafa Edirnevî, 1766-1767. Cardboard, illumination paint, lacquer. Influences of Western origin were observed, first in architectural decoration and later in other decorative arts, in Ottoman art as of the second quarter of the 18thcentury. Paralleling the popular styles in the West, the said influences can be listed as follows: Rococo, Empire, which became popular during the reign of Mahmud II (1808-1839), followed by Neo-Renaissance, Eclectic, Neo-Gothic, Orientalist, and finally Art Nouveau. All these different styles are best observed in the arts of architecture, illumination, and textile. İstanbul-Beykoz, 19th century. 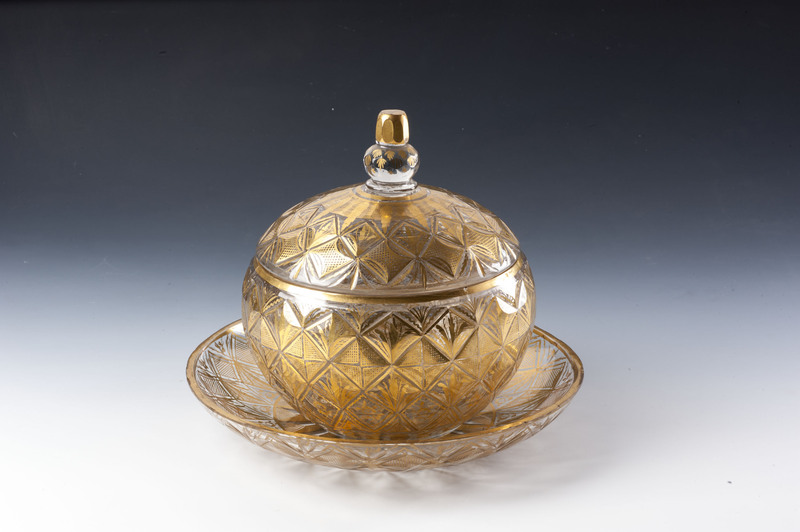 Opaline, coloured glass paint, gilt. 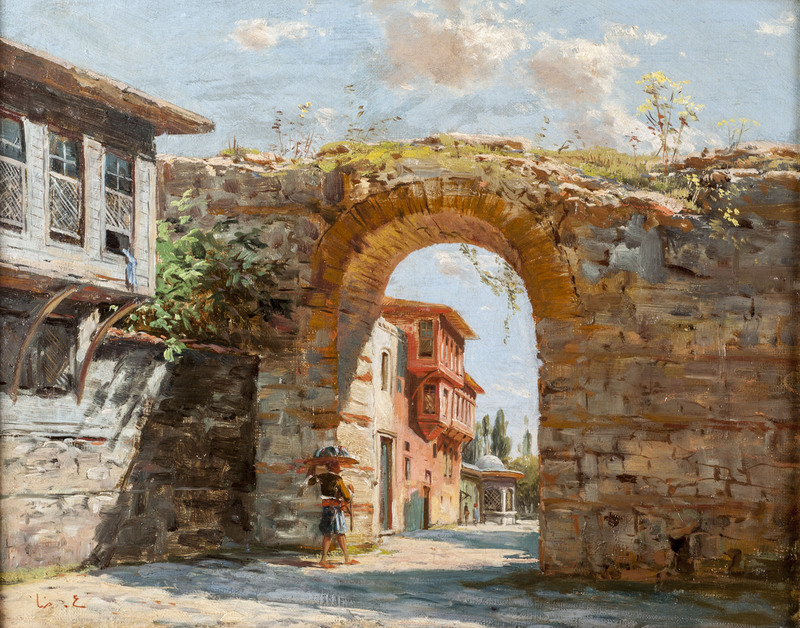 City Wall Gate, Hoca Ali Rıza, 1864-1935. Late 19th-early 20th century, oil on canvas. The earliest influences of Western painting in the Ottoman art of illumination emerged in the first quarter of the 18th century. Foreign painters working at the palace in the 19th century, “modern” art courses offered first at military schools and later at the Imperial School of Fine Arts (present-day Mimar Sinan University of Fine Arts), and the education of select students in Europe constituted a Western tradition of Ottoman painting nurtured by these different sources.